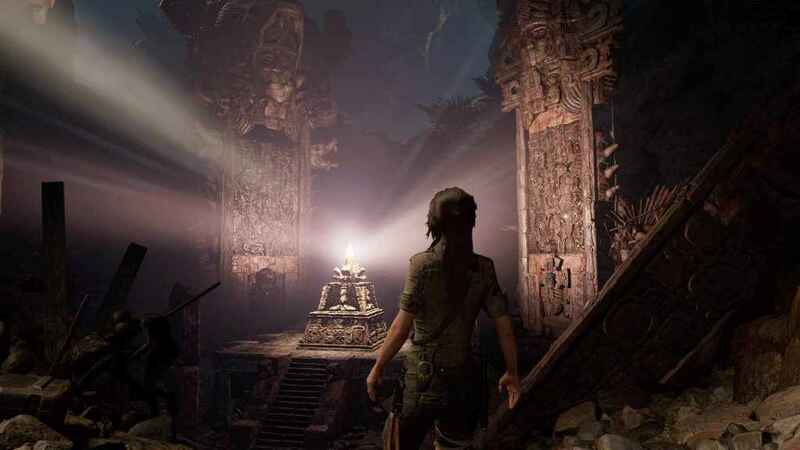 Find out how to get all of the Shadow of the Tomb Raider classic skins. Follow this guide to find out how to get Lara Croft outfits! In a similar vein to Rise of the Tomb Raider, these classic outfits transform Lara in Shadow of the Tomb Raider so that she looks she dresses in the same style as she did in some of the previous Tomb Raider games. First up, let’s get the bad news out of the way. Unless you ordered one of the special editions, you won’t be able to get these Lara Croft outfits. They are exclusive to those editions, though may be made available at a later date. There are three Shadow of the Tomb Raider skins in total to unlock that hark back to the days of the PS1 and the PS2 game. They are: Tomb Raider I, Tomb Raider II Bomber Jacket and the Tomb Raider Angel of Darkness. There are also many more Shadow of the Tomb Raider outfits to enjoy. Providing you’re playing a special edition, simply go the campfire. You’ll find one of these early on in the game. It’s the place where you can view multiple options, including Fast Travel, Skill and Inventory. Cycle to the inventory page and you’ll see all the Lara Croft Outfits you need. Simply select either the Tomb Raider I skin, Tomb Raider II Bomber jacket skin or the Angel of Darkness skin. You’ll then transform Lara Croft back into the PS1 and PS2 era!